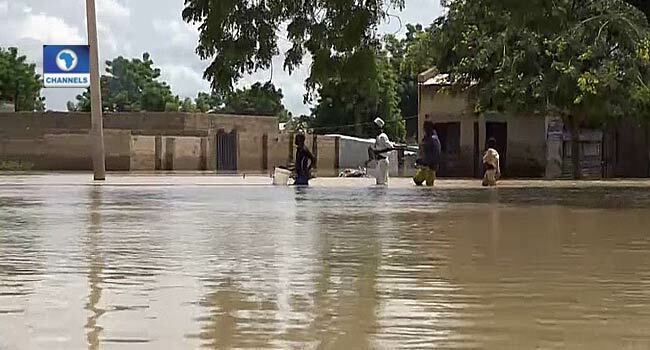 No fewer than six persons have been feared dead and several others displaced by flood in Dabi village, Ringim Local Government Area of Jigawa State. 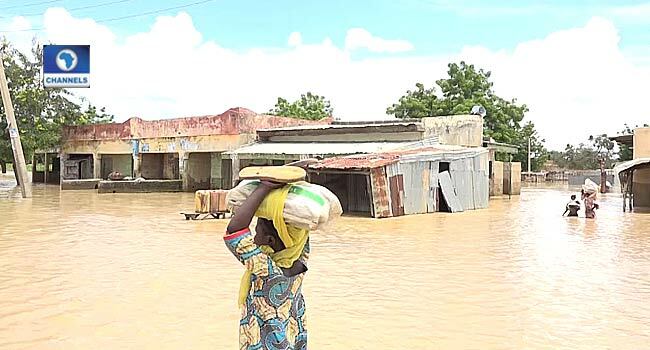 The flood has displaced residents of the local government, forcing them out of their homes following a heavy downpour. Schools and farmlands were not spared as they were all submerged in flood. The displaced residents of Dabi village have since left their homes seeking shelter elsewhere. Dabi village is known for rice and millet production but now it is only accessible through canoe. Some other communities in four different local government areas of the state were also affected by the downpour. They include Birninkudu, Taura, Jahun And Miga Local Government Areas. The State Deputy Governor, Ibrahim Hassan, who visited some of the affected areas confirmed the death of the six persons. He added that the State Emergency Agency has since intervened by providing relieve materials to the displaced residents.